LAS VEGAS, January 23, 2019 – TORLYS Inc., a company known for bringing innovative new flooring solutions to market, launches new technology-driven collections at Surfaces 2019: UltraFloors and Everest hardwood, including the new Twist herringbone collection. UltraFloors is the newest brand in the TORLYS portfolio, which blends spectacular visuals with combined features never thought possible in flooring. The TORLYS Magnacore technology is a major factor why this revolutionary floor offers ultra-quality and ultra-performance. UltraFloors is a floor that’s the best of all worlds, perfect for both commercial and residential applications, including: beauty of wood and tile, waterproof benefits of vinyl, dentproof durability of HPL laminate, fireproof and shiftproof benefits of ceramic, and quiet comfort of cork. UltraFloors include CorkPlus Blue attached underlay with Microban antimicrobial protection, a fully renewable natural wood resource that provides added warmth, acoustic insulation, comfort and also resists mold and mildew that cause stains, odours and flooring deterioration. These floors come in wood-look planks and stone-look tiles and are backed by revolutionary warranties. In the Everest hardwood collection, old becomes new again as classic herringbone floors become one of the hottest flooring trends on the market. TORLYS introduces an innovative twist on this timeless floor. This specially engineered floor offers the utmost in design flexibility; a simple twist creates single or double herringbone patterns. Offered in on trend styles in oak or walnut, each with patented Uniclic side joints and Unifit X end joints, installation is 50 percent faster than traditional glue down herringbone floors. Matching long planks are also available in the Twist collection styles in order to create borders if desired. 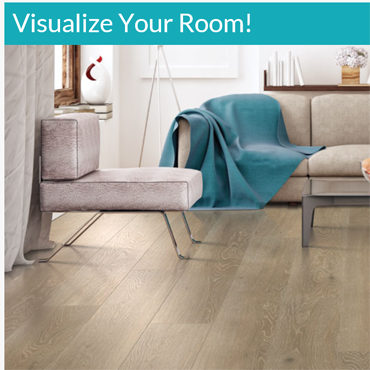 Everest Twist includes CorkPlus Blue attached underlay with Microban antimicrobial protection, a fully renewable natural wood resource that provides added warmth, acoustic insulation, comfort and also resists mold and mildew that cause stains, odours and flooring deterioration. Plank size: 1/2” (thickness) x 4-3/4” (width) x 23-7/16” (length). The Everest Designer and Everest Premier collections have also been redesigned to include new highly styled colours and textures. 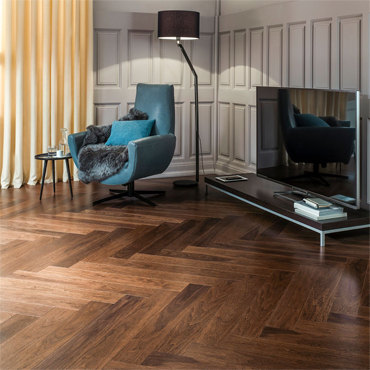 Everest Designer offers extra long, wide planks in walnut and oak, enhancing a sophisticated appeal. Everest Premier is a classic hardwood collection, inspired by the alluring natural beauty of walnut, maple and oak hardwood and styled for today. Everest Designer and Everest Premier include CorkPlus Blue attached underlay with Microban antimicrobial protection, a fully renewable natural wood resource that provides added warmth, acoustic insulation, comfort and also resists mold and mildew that cause stains, odours and flooring deterioration. Plank sizes: Everest Designer 1/2” (thickness) x 6-1/2” (width) x 71-1/4” (length), Everest Premier 3/8” (thickness) x 4-7/8” (width) x 47-3/8” (length). See TORLYS innovations, Surfaces, Mandalay Bay, Las Vegas, Jan. 23-25, Booth 5833. 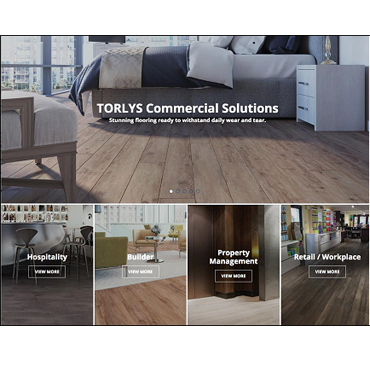 Headquartered in Toronto, Ontario, TORLYS is a global flooring company that specializes in providing beautiful, responsible flooring solutions. TORLYS believes in creating the most beautiful and practical floors on the market, but not at the expense of the planet. For over 30 years, innovation has been in the TORLYS DNA. Since its founding in 1988, TORLYS has created and delivered innovative flooring solutions using the latest technologies to home owners, builders and property managers. Beginning as a pioneer in floating floors, TORLYS now has numerous one-of-a-kind products including EverWood, EverTile, RigidWood and CorkWood , all with CorkPlus BLUE or FoamPlus Blue underlay attached. Both underlays have Microban antimicrobial protection built in, keeping rooms fresh by inhibiting the growth of mold that causes stains, odours and floor deterioration, another exclusive from TORLYS. For more information about TORLYS, visit www.torlys.com.